Sable Pointe Homes for Sale in Alpharetta GA. Search Alpharetta MLS listings for homes for sale in Sable Pointe subdivision in North Fulton County GA. Find homes in the Sable Pointe swim tennis community in Alpharetta GA 30004. Find homes for sale in the Sable Pointe Subdivision in Alpharetta GA 30004. Sable point is a single family homes subdivision in North Fulton County GA. It is north of the city of Atlanta, so it offers a reasonable commute, and a great price and value. All the homes in Sable Pointe are on about an acre. The subdivision was originally developed by Torrey Homes, and is a swim tennis subdivision. 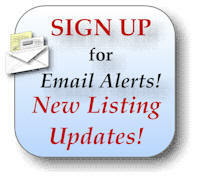 If you are buying or selling a home in the Sable Pointe subdivision in Alpharetta GA, please contact us. We would love to work with you as your Alpharetta GA real estate agents.